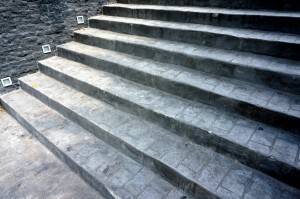 Stamped concrete refers to the technique of designing concrete to resemble another material. 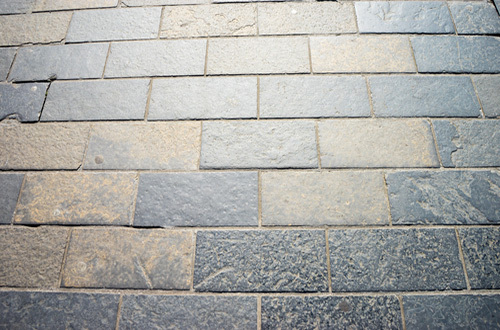 Concrete can be made to look like brick, stone, slate, tile, or even wood. By stamping concrete, it can be given a wide variety of textures and colors, even looking like two completely different materials right next to each other. 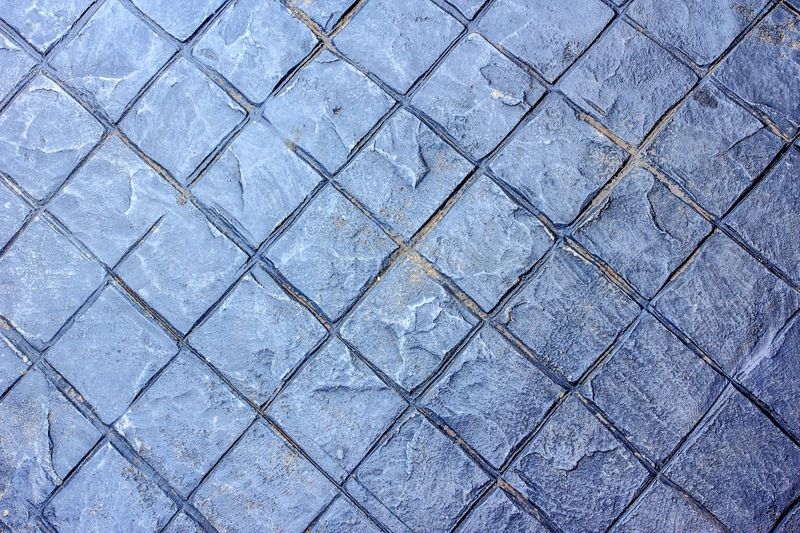 Stamped concrete can appear to be one of countless more expensive materials, without the cost that goes along with those other materials. 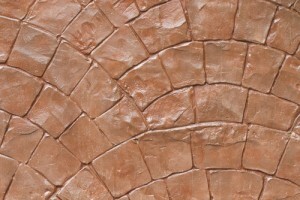 Stamped concrete is durable, affordable, and attractive. It is environmentally friendly, easy to maintain, and beautiful. 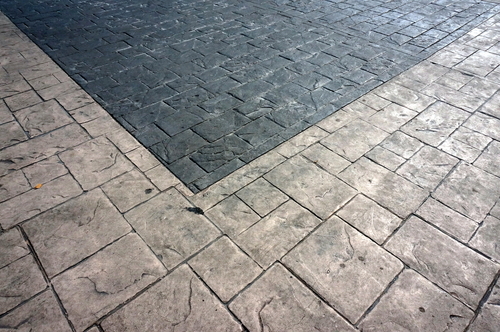 You might think that it would look cheap, or unattractive, but concrete is far more versatile than you might imagine. 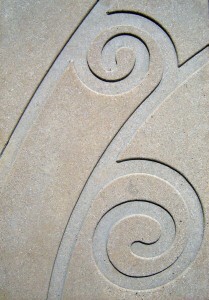 Concrete can be used in countless different situations, and look much more beautiful than most of the concrete you see. 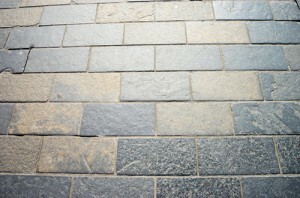 Concrete is also a very strong material. It can endure heavy traffic for years and still look great. Because it is so durable, it can be used in high-traffic areas without having to worry about wear and tear on your flooring.It can also be formed into complex shapes like steps and fountains at a much lower cost than other materials. This makes it ideal for many parts of your home. 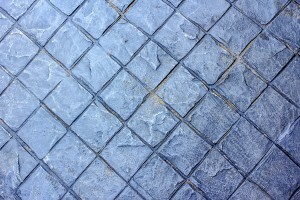 You may want to use stamped concrete to create the outdoor entertaining area you've always dreamed of. You could design a giant patio that appears to be made of tile, fitting in with the style of your home. An intricate tile patio could take days or even weeks to lay. 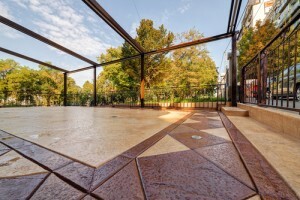 Plus, you would constantly have to worry about the tile cracking – but with stamped concrete, the job can be done quickly and allow you to entertain without worrying about the endurance of your patio. Our perhaps you've always wished for a dramatic, curving, stone driveway, rather than the boring asphalt of the rest of the neighborhood. A beautiful driveway like this can increase the value of your home far beyond the cost of installing. 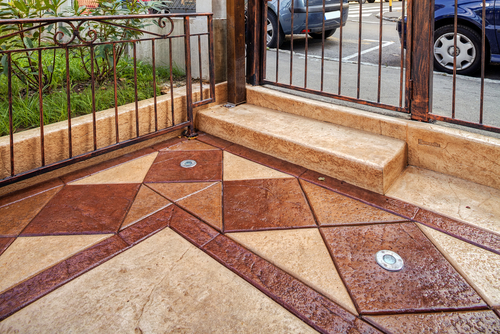 You may have always thought the curb appeal of your dreams was out of your budget, but with stamped concrete you can have the look for a fraction of the cost. 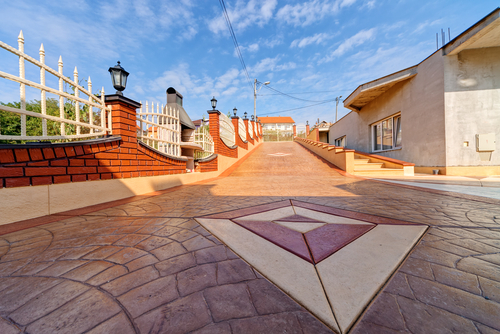 Your neighbors might be jealous, and they certainly won't believe that you were able to get a lovely new driveway or porch so inexpensively. Stamped concrete can blend in well with other design elements around your home, regardless of your style. 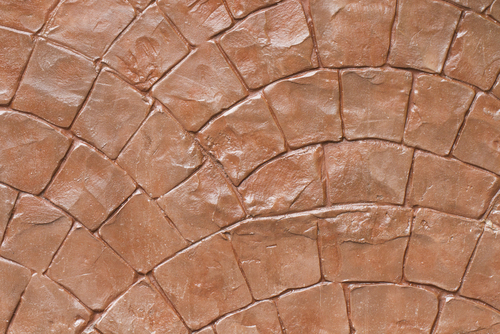 If you already have brick, rock, or stone in your outdoor design – whether it's a pool, fence, stairs, or some other architectural element – you can use stamped concrete to tie those elements together. 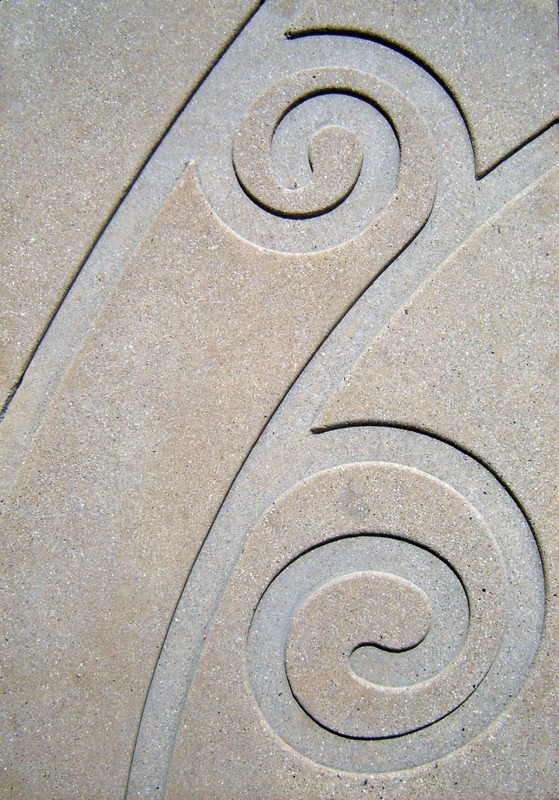 Concrete is an incredibly unique material. It is strong, beautiful, easy to work with, and requires minimal maintenance. 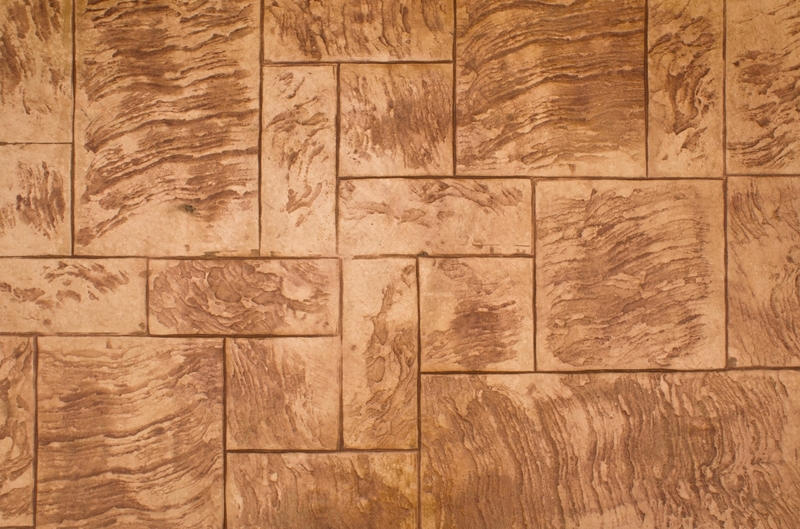 Stamped concrete could help you create the entertaining space you've always wanted, without having to save for years.